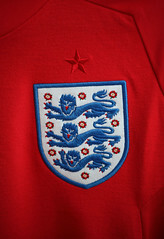 Will the future England midfield contain the 3 J’s? In the English press much is being made about the idea, or the potential reality, of England employing Jack Wilshere, Jordan Henderson and Jack Rodwell in central midfield for the next decade. Most pragmatists recognise that this is probably not going to happen and that somewhere along all the line all of the trio, or perhaps just one or two of them, will lose their way and end up being players who promised much and showed great potential as precocious youngsters but never developed into the fully fledged international class players. The idea, nevertheless, of these three young central midfielder players developing into world world class performers, so soon after the England debacle at the 2010 FIFA World Cup in South Africa, says plenty about the desperation of the English footballing public for a new hero. Wayne Rooney, the previous hero, tarnished his reputation off the field, after a string of extra marital sexual relationships, and on the field, following a horrific end to the end of the last English season with Manchester United, a poor individual showing at the 2010 FIFA World Cup, and then a disappointing start to the 2010/11 English Premiership season, again with his club Manchester United (lest we forget I will mention the contract furore surrounding his request for a transfer, then removal of the request and then, finally, his signature on the contract worth a reported £200,000 a week). Since all these problems for Wayne Rooney and the collective horror show that was the English national side at the 2010 FIFA World Cup England have been crying out for new heroes and the suggestion, or promise, of something new and exciting. This midfield trio, of Jack Wilshere of Arsenal, Jack Rodwell of Everton and Jordan Henderson of Sunderland, are exactly that. Young, promising, dynamic and full of talent. Jordan Henderson has been, arguably, the star performer of the three this season, excelling for Sunderland on a frequent basis. Jack Rodwell, however, was the first of the trio to rise to prominence, excelling for Everton at various stages during the last season. Jack Wilshere, though, has looked, on his day, the most exciting of the three but unlike the other two he has yet to combine his talent to consistency and offer regularly good performances. Once Jack Wilshere achieves that he is likely to become a big player for Arsenal and England. Jordan Henderson has recently been linked with a move to Manchester United whilst Jack Rodwell has also frequently been linked with a move to the red side of Manchester. Many Manchester United fans, in fact, are already convinced that Sir Alex Ferguson has decided to buy the Everton midfielder in the summer in a similar type of deal to that which previously saw Wayne Rooney leave Goodison Park and hitch up at Old Trafford.